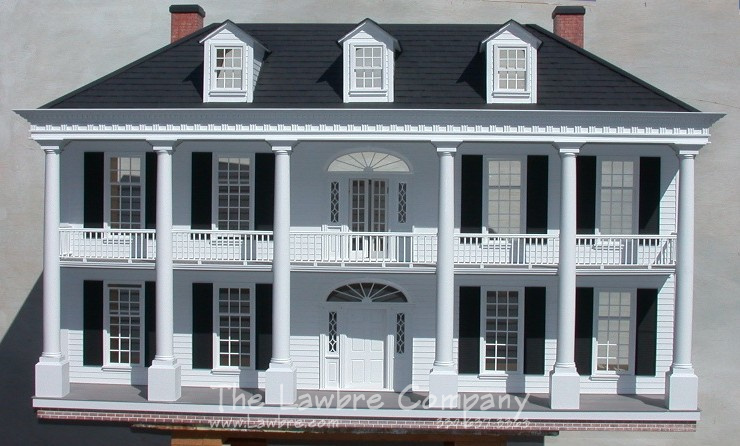 The Rosedawn Plantation is our most popular house. 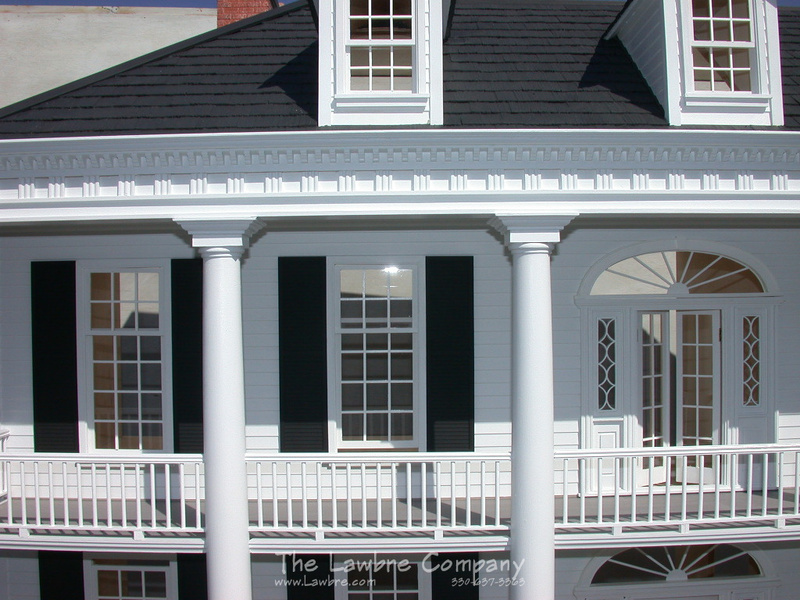 This house is a magnificent statement in the Antebellum Southern Classical Greek Revival tradition. 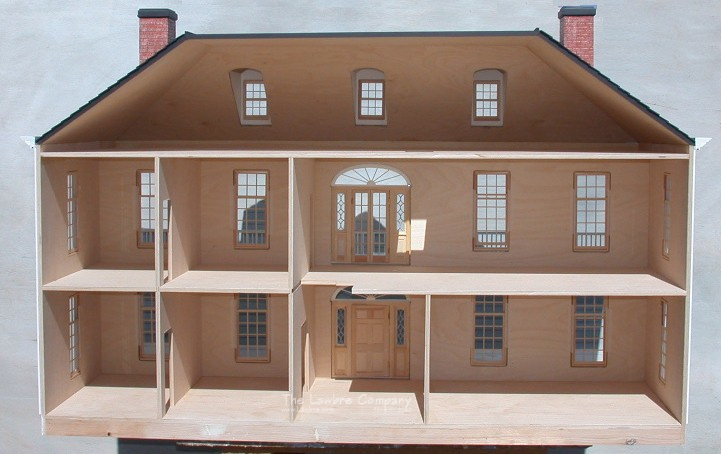 This house has three floors with up to twelve rooms and measures 55" wide x 26" deep x 37" high. All windows are working windows, and the doors function, as well.You can order this house as an unfinished shell or finished completely on the outside. Call for pricing.